I’ve spent the last few days traveling along the Gulf Coast of Florida – driving to the nearby islands and along the coast, and walking along the beaches full of coarse white sand. 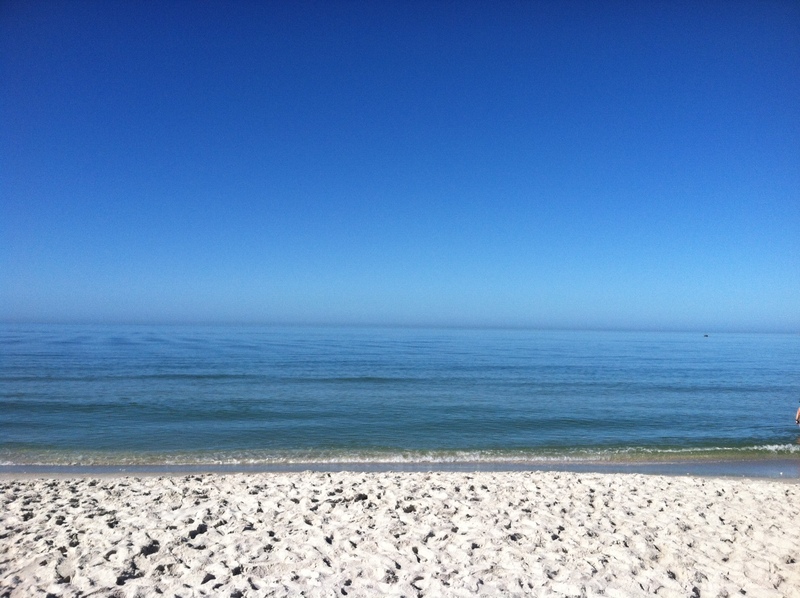 These beaches and the water of the Gulf Coast work in perfect harmony with each other – they’re still…peaceful. Even when there are other people on the beach with you, it’s not like at home where they distract you with loud conversation or ferverent activity — it’s as if they’re part of the whole place, collecting sea shells or wading in the calm water — they are as interconnected as the tiny birds running in the surf. And then to close your eyes and listen to it…the unmistakable hissing rhythm of lapping water easing in to the shore and back out to the sea – it sounds and feels like “breathing,” it reminds us how alive the planet is. It reminded me this week of something learned not long ago but pushed aside and almost forgotten in recent months — the interconnectivity of all things, including us — now matter how separate we may feel at one given point in our lives or another. Maybe all of these reasons are what draws us to the sea — to stare out upon it, wade within it, it is the subconscious motivation to build our homes and cities around it, and to travel to it when we need to replenish our souls or repair the psyche. All I know now is that I wanted to find peace…and I found it in the sea. ~ by Dan Fabrizio on December 9, 2011.